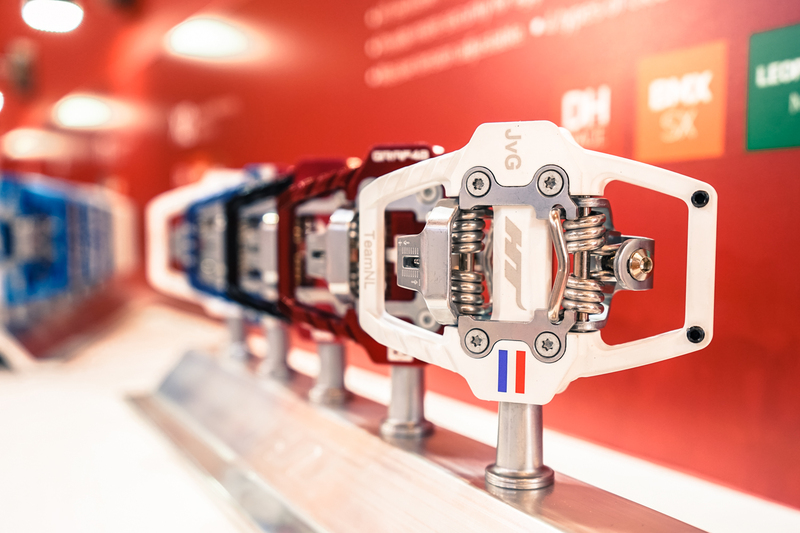 We spotted a few unique pedal offerings on day one of the Eurobike trade show in Friedrichshafen, Germany. Grab an eyeful below. 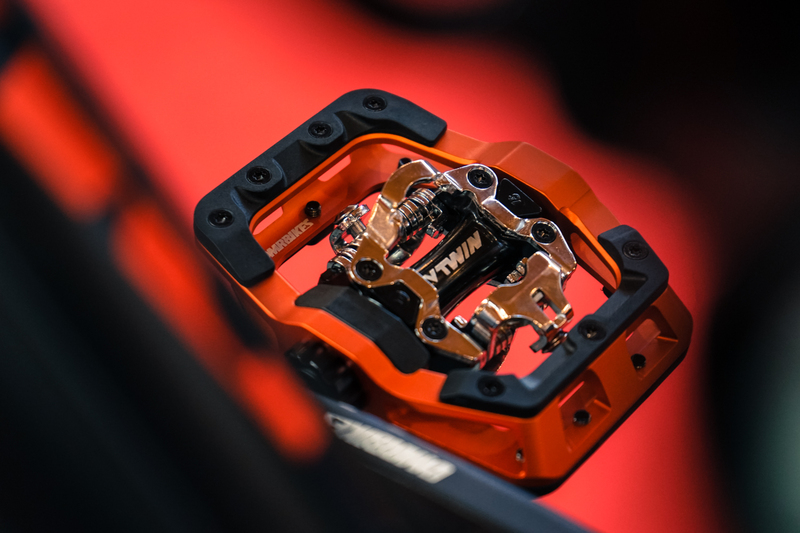 The T1 SX probably won’t see much use in the mountain bike world, but it’s interesting nonetheless. 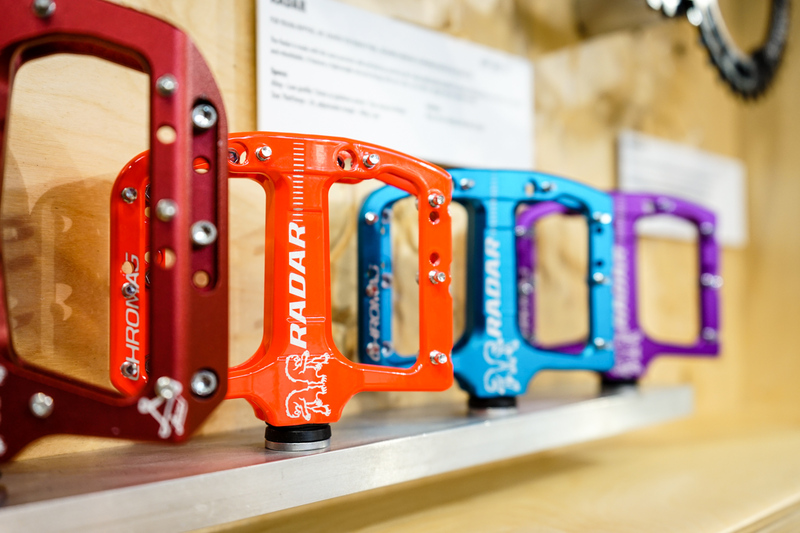 HT has a deep roster of Olympic-level BMX racers, many of whom were asking for a stiffer-feeling pedal. 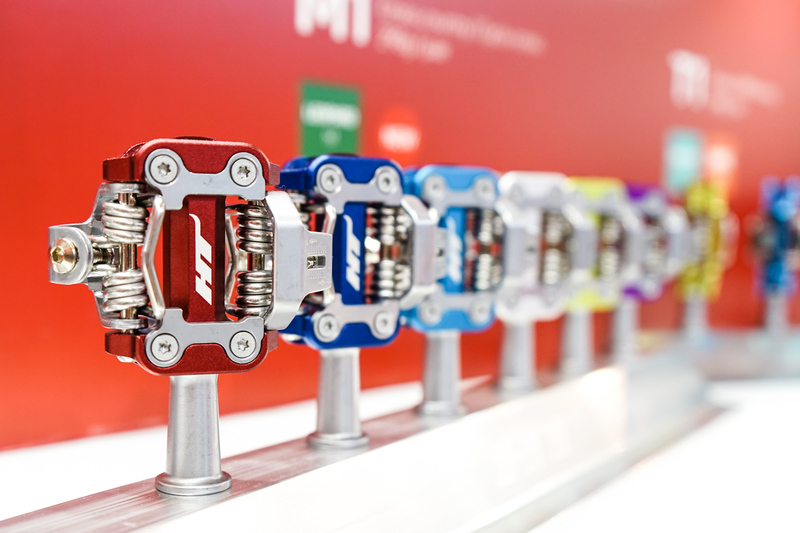 HT’s solution is to demobilize the front gate of the retention system by positioning it in a notch on the contact plate. 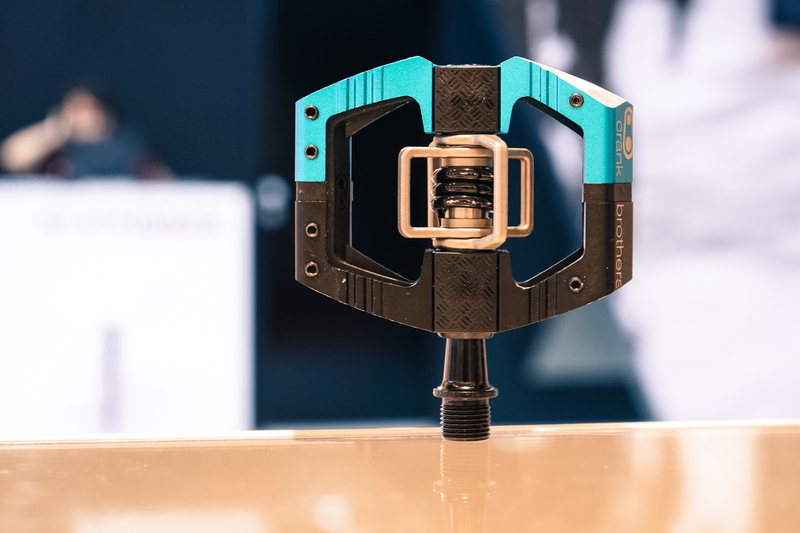 The result is a pedal with lots of float resistance, but the same 13-degree release angle. MSRP is $140.